The Baltimore Student Film Showcase is a celebration of student- produced film and video works by Baltimore City and County High School and College students. 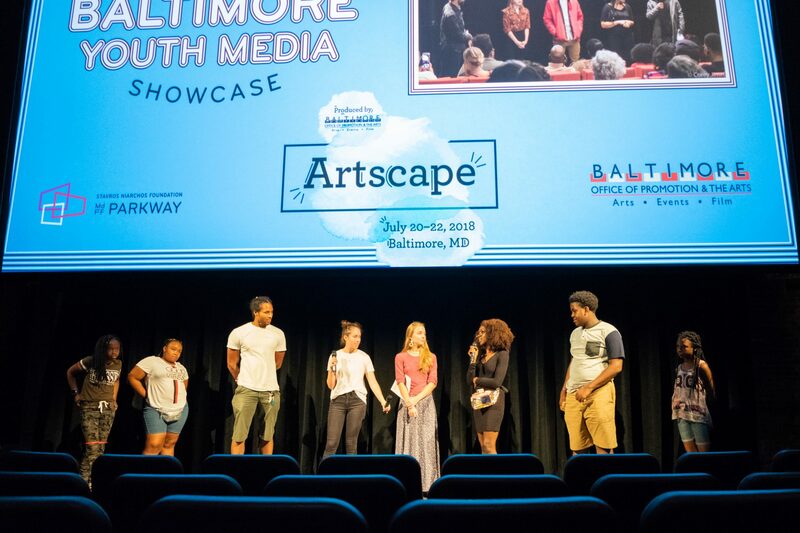 The 2019 showcases are organized and curated by Baltimore-area students through MdFF, and is sponsored by the Maryland Humanities. Are you a Baltimore area student with a film or video project you want to share? Submit your film to screen at the Parkway today! MdFF is proud to host workshops for Baltimore film students in partnership with local film professionals to enhance your film knowledge and learn from the pros! All workshops are free and open to the public, though students are encouraged to apply. Space is limited, so reserve your space today! This project was made possible by a grant from Maryland Humanities, through support from the National Endowment for the Humanities, Maryland Historical Trust and the Maryland Department of Labor, Licensing and Regulation. Any views, findings, conclusions, or recommendations expressed in these showcases or workshops do not necessarily represent those of the National Endowment for the Humanities, Maryland Humanities, Maryland Historical Trust, or the Maryland Department of Labor, Licensing and Regulation.